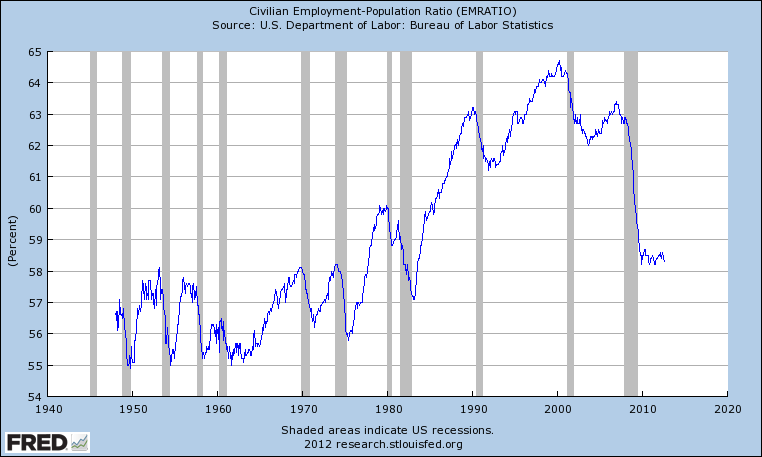 As of August 2012 the percentage of the population employed in the U.S. was 58.3%, about the same as in August 1983. 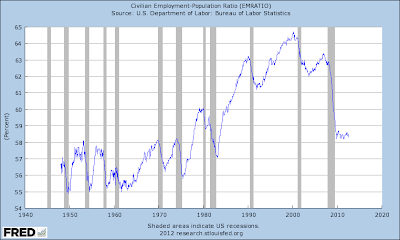 Since 1948 the average is 59.2%, the median is 58.4%, the lowest ever reported was in October 1949 when it hit 54.9% and the highest ever reported was in April 2000 when it read 64.7%. The current figure of 58.3% is therefore (only) about 1.5% lower than the average and 0.2% lower than the median.